Moscato is undeniably fun. I often finish dinner parties with a bowl of gelato and a glass of Moscato. The Pigscato is made out of White Frontignac which is in my opinion the king of the muscat family and black muscat. 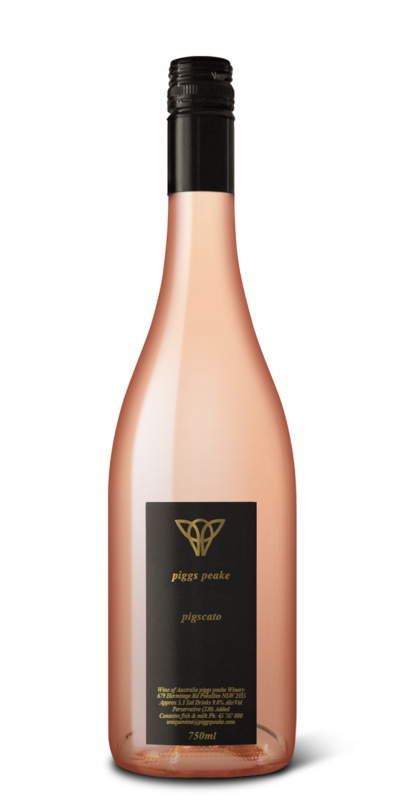 The wine is full of Lychee and Rose Petal character while the palate is sweet, but still fresh and lively. Its not at full carbonation, so the bubbles just tickle the tongue and it has a slight bronze blush.